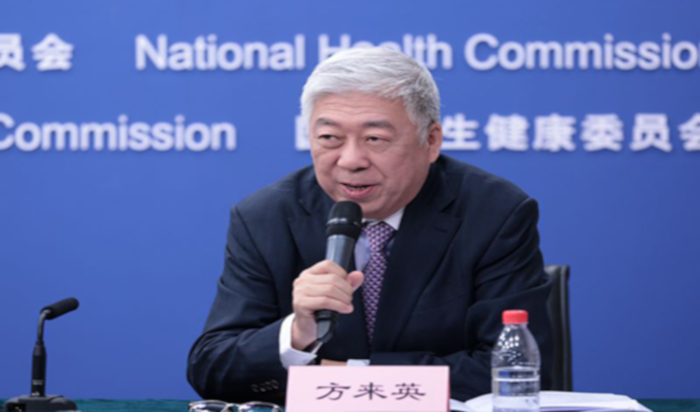 During a regular news conference held by China’s National Health Commission on February 25, 2019, Fang Laiying, a member of Chinese People’s Political Consultative Conference (CPPCC) and vice-president of the Chinese Hospital Association, stated that the country’s health industry has gain great momentum especially at the grass-root level, according to a news update on the official website of China’s National Health Commission. Fang mentioned that he was surprised to learn that advanced technologies such as online registration and mobile payment were available in local hospitals and that the technologies have had a good response from locals, during his grass-root visit to Sichuan’s Liangshan Yi autonomous prefecture. In 2018, he submitted a proposal to the CPPCC National Committee on the cultivation of general practitioners (GPs). Detailed implementation rules were launched by about 30 provinces and cities themed on issues such as training bases construction and free GP education for rural students in 2018 and a total of more than 40,000 GPs were enrolled nationwide. However, despite the rapid development of China’s health industry at the grass-roots level, some challenges still persist. According to Fang, the scarcest resource in the medical industry currently in China are medical talents catering to the needs at the grass-roots level, not professors. He noted that cultivating a grass-root talent team has been a top priority in the reform of the medical health industry. “Cultivating talents is a comprehensive issue which should be dealt with from the perspective of policy and system design and requires the joint efforts from departments of education, health, finance and development and reform”, said Fang. At the same conference, Ge Minghua, director of Zhejiang Provincial People’s Hospital and a National People’s Congress (NPC) deputy, expressed similar sentiments as Fang about the development of doctors at the grass-roots level. Since 2013, Ge has submitted 39 motions and suggestions to the NPC on grassroots health development. He also introduced Zhejiang’s efforts to deepen medical care reform, such as elevating county-level medical system construction and simplifying medical service procedures. Ge stated at the conference that he is going to submit motions mainly about two problems — how to upgrade the level of rural doctors’ and ensure their welfare, as well as how to deepen medical care reform after the National Healthcare Security Administration’s establishment in May 2018. China, like many other countries, is experiencing a soaring demand for healthcare with an ageing population with 300 million people suffering from chronic disease in 2016. There is also a several lack of doctors – China has 1.8 practising doctors per 1,000 citizens, compared to 2.6 for the United States and 4.3 for Sweden, according to the latest data from the Organisation for Economic Cooperation and Development (OECD).